Yoshi's Crafted World is just ten days away from release, with a worldwide launch planned for 29th March. We're eagerly awaiting the day we can finally get stuck into everything it has to offer, but until then, we might just find ourselves watching this little video over and over again. Shared by Twitter user @supino403, this tweet shows off a charming little advertisement for the game in Japan. Rather than sticking to the usual fliers or posters you might spot in your local gaming store, it appears that Nintendo has opted to go for a clever, folded paper system, replicating the mechanics found within the game. Awh. We can't help but feel like this would be a perfect design for a small instruction manual included with the physical version of the game. We know it'll never happen, but imagine having all of the controls and a little bit of background info presented to you on one of these to get you in the mood for the game. Oh manuals, how we miss you. 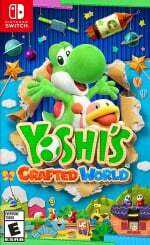 Are you getting Yoshi's Crafted World next week? Agreed. The game should come with a manual like this. It's just a perfect fit. I'm yet to play DMC5, but after that, Yoshi's next. This is really cool. I'm really looking forward to this game, while trying to avoid spoilers everywhere, so it's really nice to see Nintendo giving this game an extra bit of love this way. Just sold my old video card and getting this game, the co-op is also amazing. I love when Twitter just automatically refuses to load when you click on a video. Such incompetence! "If only it came with a manual." 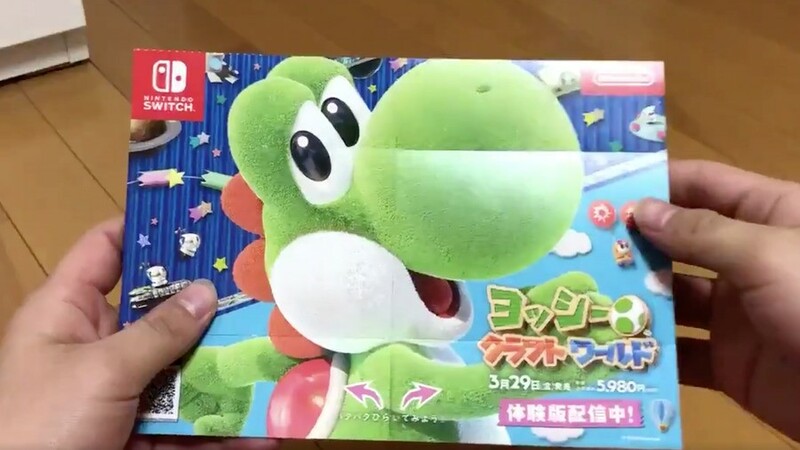 Yeah, I wish there was an awesome manual crafted inside the Yoshi game box. Also, Nintendo had made stuff like this before. I think it was a 3DS promo thing. I kept folding it over and over. It's kinda magical and addictive to fold those square paper things inside out endlessly! Got this on preorder with the egg card holder thing. I was excited yesterday when I woke up, because I had read my calendar incorrectly and thought Yoshi came out on the 22nd. Then the excitement tempered when I realized my mistake. I'm just over here, playing the demo again. This game needs labo support so badly. Even if it's just a simple interface to the piano or something. The Famitsu reviewers gave the game three nines and a ten. Despite being a first party Nintendo title, I feel like this game is flying under the radar in terms of excitement because it is a "kiddie" game. It may turn out to be one of the surprises of the year. There's no manuals, because they're digital-only. In fact, They did it to avoid cutting trees to make them. It saves Viridi a major headache with humans. If only it came with a manual! Reminds me of those little oragami finger things girls in elementary school used to make where you pick a color than you pick a number etc. I loved reading the booklets that came with my physical game. I think subconsciously, with that perceived value being gone, their demise helped push me into digital only territory too.